For today’s deals roundup, we’ve found deals on computer accessories from brands like HP, Logitech, Dell and more. 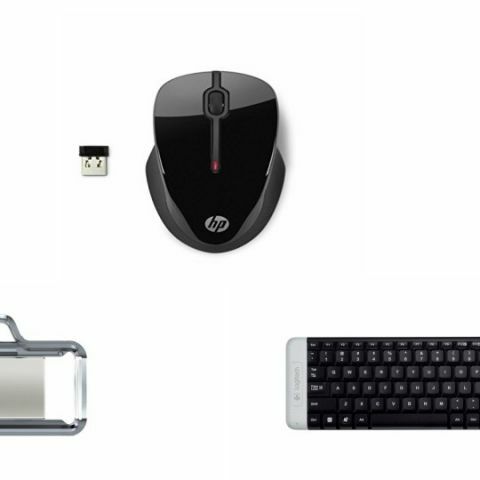 Today’s roundup deals with computer accessories like mice, keyboards and more. The list consists of deals under Rs 1000 when you take into account the cashback you get on Paytm Mall. You’ll find products from brands like HP, Sony, Dell and more. The Logitech K230 is a wireless keyboard, which as per the company, can work up to a distance of 10 meters from a connected device. The company even claims that it has a battery life of two years so there’s no hassle of changing batteries in between. You can purchase this device here. The Dell WM126 Wireless Mouse lets you connect up to six compatible devices with a single receiver. Users can simply plug the receiver into a USB port to get started. However, one needs to download the compatible software in order to connect multiple devices. The company claims that the battery can go one full year without the need to replace them. You can purchase this device here. If you’re looking to upgrade your keyboard and mouse at the same time, then this combo might be a better option. The Tech Gear Mini Wireless Keyboard and Mouse Combo come with a USB receiver, which is also compatible with smart TVs, Android boxes, and more. The keyboard is also spill resistant. You can purchase this device here. The HP X3500 wireless mouse has a sleek design and comes with two primary buttons and one scroll wheel. The mouse connects to a computer via a nano receiver. The company is also providing one year warranty that does not include physical damage. You can purchase this device here. This SanDisk pen drive features a USB 2.0 port and offers OTG support via a micro USB port. The drive allows users to transfer files from their laptop to an Android device easily. As per the company, it can transfer the data at the rate of 150MB/s. You can purchase this device here. The SanDisk Ultra flash drive comes with USB 3.0 connectivity and is also compatible with USB 2.0 interfaces. The Sandisk drive also includes a secure access software, which allows you to set up a password for your private folders. Purchase this device here.